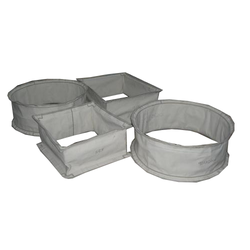 Pioneers in the industry, we offer circular canvas bellows, canvas bellows and industrial canvas bellows from India. We have earned a sterling reputation in the industry for manufacturing and supplying Circular Canvas Bellows to our valued customers. The offered bellows are made in tune with the industry standards for offering ultimate solutions to clients. These bellows are durable, resistant to wear & tear and accurate in performance. 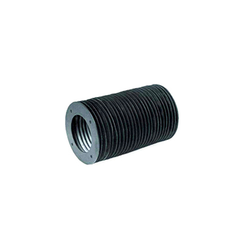 The offered bellows are used for providing protection to machine parts in a gamut of industries. 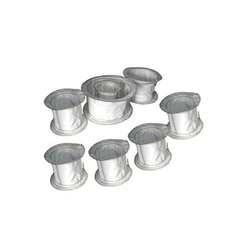 We are among the trusted names in the industry for manufacturing and exporting Canvas Bellows. The offered bellows are made from high-grade materials procured from a reliable vendor base for assuring maintenance of the international standards. These bellows are ideal for being use in outlets and inlets of blowers. The offered bellows are available in a wide range of sizes as well. We are among the prominent players in the industry for manufacturing and exporting Industrial Canvas Bellows. The offered bellows have earned us loads of profits for being resistant to abrasion. These bellows are tolerant to high temperature and pressure for being made from high-grade materials in a modernized production facility. The offered bellows are available in a wide range of sizes as well.